Vice President Leni Robredo pleaded to the Presidential Electoral Tribunal (PET) to consider a 25 percent shading threshold after Leni's camp knew that on the recount votes disparity became thin against Bongbong Marcos. Her supporters launched a hashtag aimed at the Supreme Court's decision to apply 50% threshold saying #LeaveOurShadesAlone. The supporters, including singer Jim Paredes encourage to use this hashtag and upload a picture of them wearing a pair of shades — as a protest. But pop culture blogger Senyora mocked Paredes’ post and poked fun at the idea, saying that it is silly to be wearing an eyewear with only 25 percent of the shade on it. 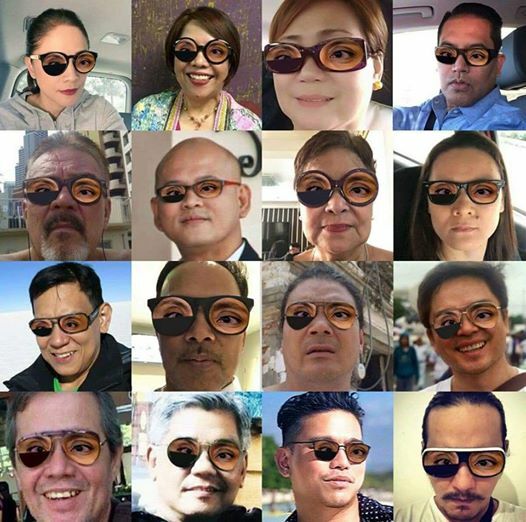 The blogger, which was named after a hit 90s Mexican telenovela antagonist, also noted that the Robredo supporters were actually wearing their eyewear —with a hundred percent shade on.